Matthew Rimmer. Intellectual property and climate change : inventing clean technologies. Edward Elgar, c2011. There is an urgent need to consider the role of intellectual property law in encouraging research, development, and diffusion of clean technologies to mitigate and adapt to the effects of climate change. 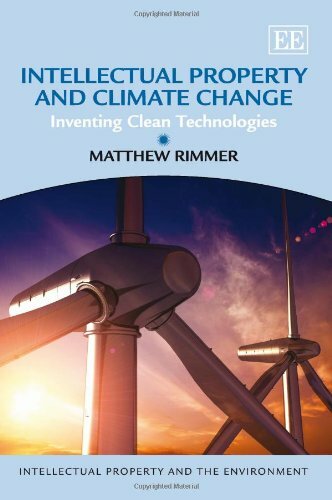 This book charts the patent landscapes and legal conflicts emerging in a range of fields of innovation including renewable forms of energy, such as solar power, wind power, and geothermal energy; as well as biofuels, green chemistry, green vehicles, energy efficiency, and smart grids. As well as reviewing key international treaties, this book provides a detailed analysis of current trends in patent policy and administration in key nation states, and offers clear recommendations for law reform. Bonnie Steinbock. Life before birth : the moral and legal status of embryos and fetuses. 2nd ed. Oxford University Press, c2011. 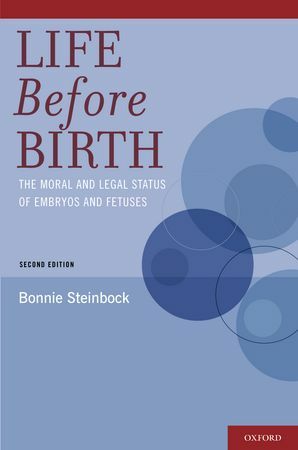 This book provides a coherent framework for addressing bioethical issues in which the moral status of embryos and fetuses is relevant. It is based on the "interest view" which ascribes moral standing to beings with interests, and connects the possession of interests with the capacity for conscious awareness or sentience. The theoretical framework is applied to ethical and legal topics, including abortion, prenatal torts, wrongful life, the crime of feticide, substance abuse by pregnant women, compulsory cesareans, assisted reproduction, and stem cell research. Along the way, difficult philosophical problems, such as identity and the non-identity problem are thoroughly explored. More common ground for international competition law? / edited by Josef Drexl, et al. Edward Elgar, c2011. Richard Thompson Ford. Rights gone wrong : how law corrupts the struggle for equality. Farrar, Straus and Giroux, 2011. The many concepts of social justice in European private law / edited by H.-W. Micklitz. Edward Elgar, c2011. Jean d'Aspremont. Formalism and the sources of international law : a theory of the ascertainment of legal rules. Oxford University Press, 2011. Dean John Champion. The juvenile justice system : delinquency, processing, and the law. 6th ed. Prentice Hall, c2010. Jean-Michel Servais. International labour law. 3rd rev. ed. Kluwer Law International, c2011. After secular law / edited by Winnifred Fallers Sullivan, Robert A. Yelle, Mateo Taussig-Rubbo. Stanford Law Books, c2011. Thomas C. Berg. The First Amendment : the free exercise of religion clause. 1st American pbk. ed. Prometheus Books, 2008. Howard I. Hatoff, Robert C. Wert. Law office policy & procedures manual. American Bar Association, Law Practice Management Section, c2011. A practical guide to the Indian Child Welfare Act. Native American Rights Fund, c2007. Bruce R. Hopkins. Starting and managing a nonprofit organization : a legal guide. 5th ed. John Wiley & Sons, c2009. David M. O'Brien. Storm center : the Supreme Court in American politics. 9th ed. W.W. Norton, c2011. ARRA broadband spending : hearing before the Subcommittee on Communications and Technology of the Committee on Energy and Commerce, House of Representatives, One Hundred Twelfth Congress, first session, February 10. 2011.
Business Activity Tax Simplification Act of 2011 : hearing before the Subcommittee on Courts, Commercial and Administrative Law of the Committee on the Judiciary, House of Representatives, One Hundred Twelfth Congress, first session, on H.R. 1439, April 13, 2011. Gulf Coast recovery : an examination of claims and social services in the aftermath of the Deepwater Horizon oil spill : hearing before the Ad Hoc Subcommittee on Disaster Recovery of the Committee on Homeland Security and Governmental Affairs, United States Senate, One Hundred Twelfth Congress, first session, January 27, 2011. Export controls, arms sales, and reform : balancing U.S. interests : hearing before the Committee on Foreign Affairs, House of Representatives, One Hundred Twelfth Congress, first session. Human Resources subcommittee hearing on the use of data matching to improve customer service, program integrity, and taxpayer savings : hearing before the Committee on Ways and Means, U.S. House of Representatives, One Hundred Twelfth Congress, first session, March 11, 2011. Quitting hard habits : efforts to expand and improve alternatives to incarceration for drug-involved offenders : hearing before the Subcommittee on Domestic Policy of the Committee on Oversight and Government Reform, House of Representatives, One Hundred Eleventh Congress, second session, July 22, 2010. To amend the Atomic Energy Act of 1954 to require congressional approval of agreements for peaceful nuclear cooperation with foreign countries, and for other purposes Furthering International Nuclear Safety Act of 2011 Assessing Progress in Haiti Act and Belarus Democracy Reauthorization Act of 2011 : markup before the Committee on Foreign Affairs, House of Representatives, One Hundred Twelfth Congress, first session on H.R. 1280, H.R. 1326, H.R. 1016, and H.R. 515, April 14, 2011. Treating addiction as a disease : the promise of medication-assisted recovery : hearing before the Subcommittee on Domestic Policy of the Committee on Oversight and Government Reform, House of Representatives, One Hundred Eleventh Congress, second session, June 23, 2010. Examining the continuing crisis in residential foreclosures and the emerging commercial real estate crisis : perspectives from Atlanta : hearing before the Subcommittee on Domestic Policy of the Committee on Oversight and Government Reform, House of Representatives, One Hundred Eleventh Congress, first session, November 2, 2009. Assessing EPA's efforts to measure and reduce mercury pollution from dentist offices : hearing before the Subcommittee on Domestic Policy of the Committee on Oversight and Government Reform, House of Representatives, One Hundred Eleventh Congress, second session, May 26, 2010. The costs of implementing the Dodd-Frank Act : budgetary and economic : hearing before the Subcommittee on Oversight and Investigation of the Committee on Financial Services, U.S. House of Representatives, One Hundred Twelfth Congress, first session, March 30, 2011. The Homeland Security Department's budget submission for fiscal year 2011 : hearing before the Committee on Homeland Security and Governmental Affairs, United States Senate, One Hundred Eleventh Congress, second session, February 24, 2010. The debt settlement industry : the consumer's experience : hearing before the Committee on Commerce, Science, and Transportation, United States Senate, One Hundred Eleventh Congress, second session, April 22, 2010. Advanced vehicle technologies : hearing before the Committee on Energy and Natural Resources, United States Senate, One Hundred Twelfth Congress, first session, to receive testimony on policies to reduce oil consumption through the promotion of advanced vehicle technologies and accelerated deployment of electric-drive vehicles, as proposed in S. 734 and S. 948, May 19, 2011.